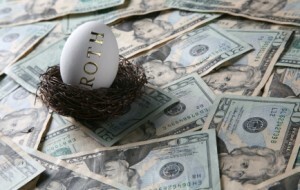 Long-time readers will know that I’m a big fan of funding our Roth IRAs through the proverbial backdoor. What I mean by this is circumventing the Roth IRA contribution limits by contributing to a traditional IRA and converting it to a Roth shortly thereafter. For 2013, the ability to contribute to a Roth IRA phases out for married couples with MAGI between $173k-$183k (or for single filers with MAGI between $110k-$125k). Beyond those levels, you’re not allowed to contribute at all. 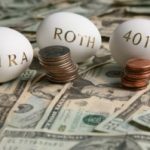 Then again… Ever since the income limits for Roth IRA conversions went away back in 2010, it’s been possible to make non-deductible contributions to a traditional IRA and then simply convert them into your Roth. 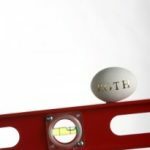 Of course, as I’ve written about in the past, there are added complexities if you have deductible contributions in a traditional IRA. 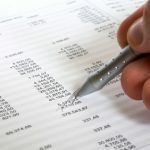 Fortunately, it’s possible to avoid these problems by rolling that money into a solo 401(k) before using this strategy. Anyway, shortly after New Year’s, my wife and I contributed $5.5k apiece to our traditional IRAs. And just this afternoon I logged into the Vanguard website and converted those funds into our Roth IRAs. For the record, we intentionally left a bit over a month in between transactions rather than tempting fate if the IRS decides to question the legality of this maneuver. Will a month really help? Maybe, maybe not. But it’s better than doing contribution and conversion back-to-back. As an aside, I should also point out that this is an excellent strategy for those who are unsure if they will end up exceeding the Roth income limit. This way you don’t have to worry about it… Just contribute and convert. I’m a little confused with the MAGI amounts noted in this article. I just competed my taxes filing joint married and the H&R block says the limited for us is $115K…so basically, we phased out? which one is right? Thanks to anyone who can clarify! @ Sam – When doing the backdoor contribution, it’s best to contribute and convert the entire amount all at once so you minimize earnings that can be taxed. I don’t wait a month like Nickel does, so I don’t get any dividends from the default Vanguard Prime Money Market Fund upon conversion. I’m sure Nickel’s earnings are negligible for he month he holds the funds in the Traditional IRA. Why do you contribute the max at the start of the year rather than dollar cost average and spread purchases over 12 months? Are there any stats which show a lump sum contribution is better in the long run than dollar cost averaging? My advisor last year advised against doing this due to the tax implications on the part of the money that had once been in the traditional IRA (as opposed to the part of my Roth money that was contributed directly to the Roth). Is there something to watch out for with this, or do I just need a new advisor? Rosie & Lance: My bad. That was a typo. We indeed contributed the max of $5500. I fixed it above. Thanks for reading so closely! Were you aware the contribution limit went up to $5,500 this year? Just wanted to make sure. The limit for 2013 is 5.5k. Why not contribute the max?